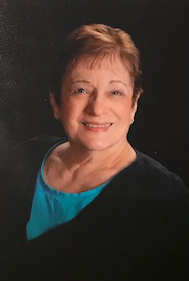 A member of First Presbyterian Church, Glen Ellyn, IL, Barbara has served as Chair of the Missions Council and currently sits on the Council. Barbara is a veteran of many mission trips to Uganda and has worked closely with Rev. John Mulindabigwi to advance the principles of Partners in Mission – Africa. She has served on the board of directors for Koinonia House National Ministries, as member of the Leadership Team for Mission Leadership Network (Chicago metro), as a member of the Congo Mission Network (PCUSA), and on the Board of Deacons and the Session for First Presbyterian Church, Glen Ellyn, IL. Barbara loves working with Partners in Mission because it is Ugandan inspired and led. Marj is a retired educator, having served 38 years on many levels including curriculum development, university professor, and pre-school at risk coordinator. She worships at First Presbyterian Church of Glen Ellyn where she has served as a Deacon and an Elder. Besides working with Partners in Mission, Marj sits on the Mission Council of her church, is Vice President of the board of directors of The Crane Center located in Mbarara, Uganda, and works with a Navajo mission in New Mexico. She travels to Uganda 2 and 3 times a year and helps to train the KSVS staff while there. 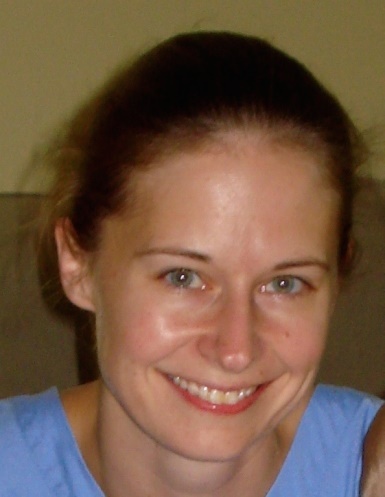 Jessica is an Emergency Medicine Physician who works in the Chicago area. She has been involved with missions in various parts of the world for the last 18 years. She first visited Uganda in 2008 and returned again to work in Kamwenge in 2010. She is particularly interested in improving access to quality health care and sanitation in vulnerable communities. Barb is a retired Professor of Biology who taught at College of DuPage for thirty years. She worships at First Presbyterian Church, Glen Ellyn, IL, where she has served as a Deacon. In addition to working with Partners in Mission, Barb volunteers for Outreach Community Center, Glen Ellyn Walk-In Ministry, and PADS. She has participated in many mission trips to serve the Lakota Nation in Montana. A native of Rwanda, Ebralie Mwizerwa joined the Outreach Foundation as Projects Coordinator 15 years ago and focuses on strengthening communication with global mission partners, projects development and implementation, as well as projects monitoring and evaluation. Ebralie earned a B.A. in Business Administration and Management from Daystar University in Nairobi, Kenya, and an M.A. in Economics from Vanderbilt University in Nashville, TN. Her desire is to see vulnerable communities-especially in Africa- reach a more sustainable life. She travels frequently to Africa, including Zambia, Zimbabwe, Malawi, Mozambique, Uganda and Kenya, as well as her native Rwanda. She has a particular passion for children and mothers: cornerstones for developing a nation and achieving quality of life for families. The owner of Alcock Development Co., Inc. which owns and operates commercial properties throughout the Midwest, Gary is husband to wife Kathryn and father to Lauren and Allison. The Alcocks have lived in Glen Ellyn, Illinois for the past 20 years. 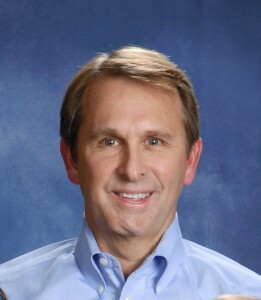 Gary is a long time resident of the western suburbs of Chicago, a member First Presbyterian Church Glen Ellyn, Illinois, and Past Board Member of the United Way of Dupage County. Gary graduated from Miami University in Oxford, Ohio with a B.S. in Business Administration, majoring in Finance. Bob has been involved with many mission organizations including a member of the board of directors of Outreach Community Ministries in Wheaton, IL, and Youth Elder leading mission teams with teens from the Ft Kipp Reservation in Montana. As a long-time member of First Presbyterian Church of Glen Ellyn, Bob has served as a Deacon and an Elder. 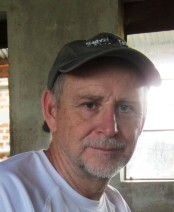 Bob first led a mission team to Uganda to work with Partners in Mission in 2007, and has returned several times. He is the managing partner of The Duncan Group. For the past 26 years, Michael has lived, worked and worshipped in the North Lawndale community on Chicago's West Side where he has been the Founder and Executive Director of the Young Men's Educational Network. Since his first trip to Uganda in 2008, he has traveled back "home" almost annually taking some of his urban youth with him. "There are few things as impactful as international travel." Michael has been embraced by the Ugandan people and he has been given the name of MUTAHE, meaning "neighbor." The Trout family loves traveling to Uganda together, especially hiking up Mt. Kabuga, seeing the chimps at Kabale National Park, eating tilapia with Rev. John, but most of all, hanging out with the kids at KSVS. Jeff is a CPA and the treasurer of PIM. He is the owner of Jeff Waters CPA which provides professional accounting, bookkeeping and tax consulting. Jeff is an active member of the Glen Ellyn IL Rotary and attends the First Presbyterian Church in Elmhurst IL.